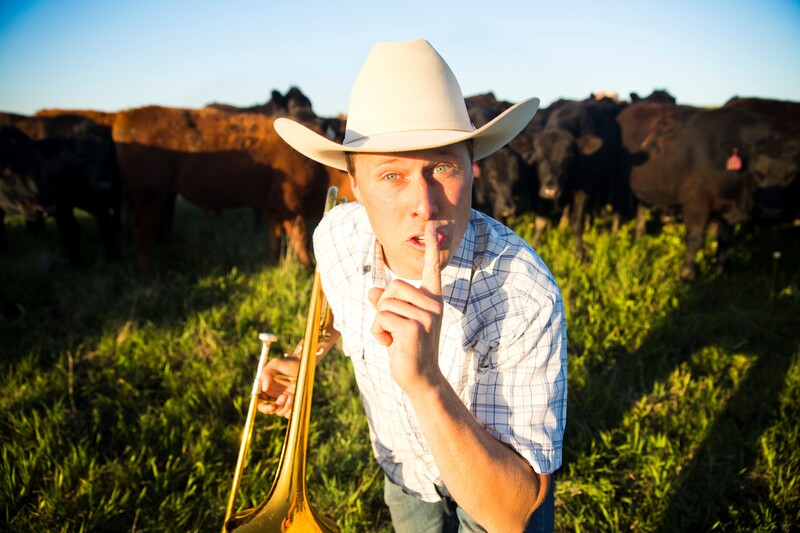 If you’ve played Monopoly and finished the game at least once in your life, it might help you gain some new perspective on the game correlates to how you manage your farming operation. It may also show you some adjustments you can make to run a more profitable enterprise. When you play Monopoly, what is your strategy for winning? It likely depends on the properties you buy, which can be a random draw based on how you roll and how the game plays out. However, you can make the best of the properties you do purchase by trading them for the ones you want. What are the best Monopoly properties to own? Most people’s immediate response to that question would the Boardwalk and Park Place. That makes sense since they cost the most and when other players land on those, they pay the highest rents, particularly when you put several houses or a hotel on it. Landing on that fully developed property is almost always a death-blow to another player. However, those are only two squares on the board and there is no guarantee that the other players will land there. What is guaranteed is the cost it will take you to get to that point. 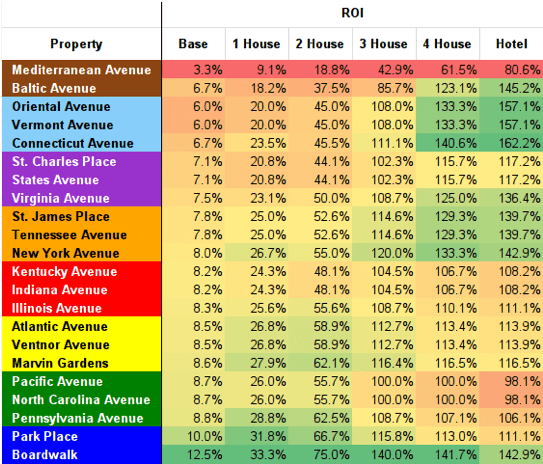 Effectively, the ROI on the Boardwalk and Park Place monopolies are low compared to others in the game. Any guesses on which is the most profitable monopoly? As it turns out, Oriental, Vermont, and Connecticut Avenues are the most profitable properties in Monopoly. You know, those basically “worthless” properties that other players will practically give to you. If you look at the chart below, that monopoly has the best ROI by a long shot. What makes Oriental Avenue, Vermont Avenue, and Connecticut Avenues the most profitable? The properties themselves don’t cost that much and it doesn’t cost much to build houses on them either, but you can get a decent return on a relatively modest capital outlay. With this chart at your disposal, is your strategy going to change the next time you play Monopoly? I can’t guarantee you’ll win, but I like your chances. Much like how Boardwalk and Park Place take a large capital outlay that can be crippling, farming ground with large cash rents can do the same. Some cash renters are just one repair bill away from not making a profit. There is a flaw in that strategy. Sure, it worked when times were good, but in these lean times the margin for error is much lower, and with a lower margin, having good data and analyzing it effectively is the key to making the very best decisions on your farm. Imagine the squares on the Monopoly board as different fields on your farm. Better yet, imagine the squares as different areas within a field. What if you had the same type of insight on your farm that the Monopoly chart above gives you, do you think you’d make different decisions? Do you think you could boost your ROI? Some of you may believe you already have that in the form of spreadsheets and university data. Those are great tools to have, but wouldn’t it be better to collect your own data from your own farm? Wouldn’t finely tuned numbers from your own operation enhance that system? Let’s take it a step further; wouldn’t it be useful to benchmark items like how fuel efficient your combine is versus other types of combines using actual data from other growers? Would information like that influence your future equipment decisions? Wouldn’t it also be helpful to know that the data you are benchmarking against is good, reliable data instead of questionable data that may be full of fallacies? The opportunities that this insight gives you is vast, but the first step is collecting good, quality data. 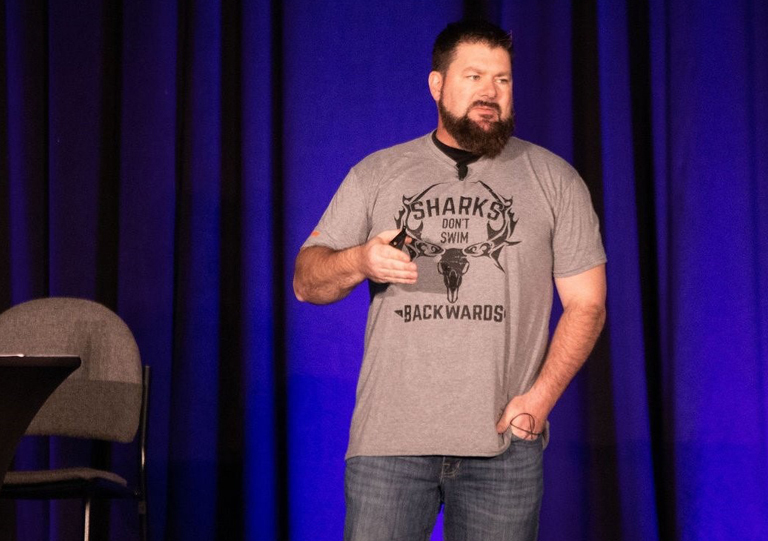 Many growers have gotten to this point, but struggle with the next step: getting it all into one place and getting analytics to see what it means. First your data is collected straight out of your tractor, combine, and sprayer through proprietary telematics devices called CanPlug. From there, your data is automatically synced up into the cloud and then loaded into the online farm management platform, FarmCommand. Using FarmCommand, not only can you see all your planting, as-applied, and harvest layers; but you also can run reports to see how efficient a piece of equipment was on a given day or even how efficient it was throughout the season. What would it be worth to definitively nail down how efficient a machine was and use data to justify having or not having it? What if you could tie your real costs to your inputs? What if you could tie your true yields with the price you sold it for onto a map? What if you could see not only your profitability on a sub-field basis, but also what adjustments you could make on a sub-field basis to become more profitable? With the profit mapping feature inside FarmCommand, you can do exactly all of that. In addition to the reporting and profit mapping, FarmCommand also allows you to see high-resolution, daily satellite imagery through a partnership with Planet Labs that makes Farmers Edge the sole distributor of the imagery. The high-resolution, high-frequency imagery gives you insights of your farm in nearly real-time during the growing season. 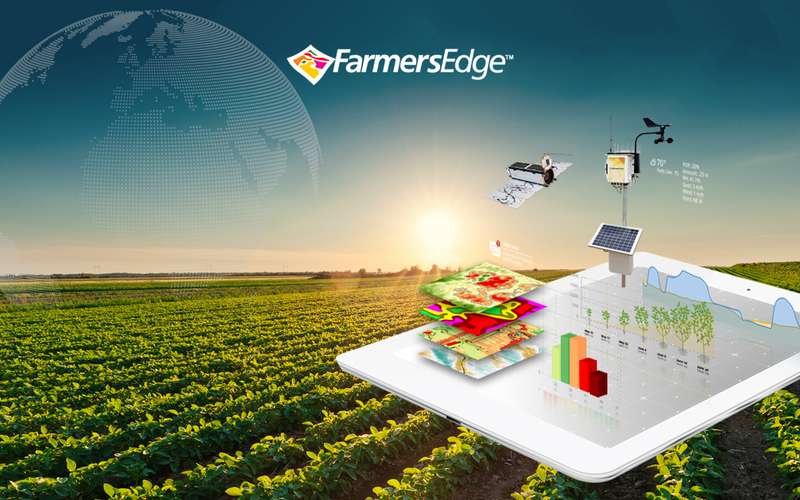 This imagery, combined with data gathered from our network of on-farm weather stations are put into crop models that can accurately predict the crop stage, allowing you to plan your field activities in advance. 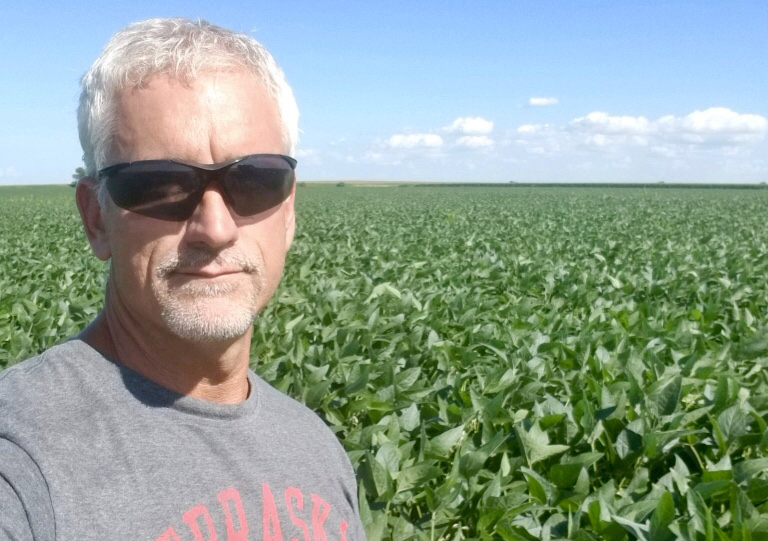 The latest tool in FarmCommand uses imagery to detect significant changes in your fields, creating a map and notifying you by email if an issue like an insect or disease is beginning to move in. With insights like this, you can better manage your finances, save time, identify issues quicker, and manage your risks. 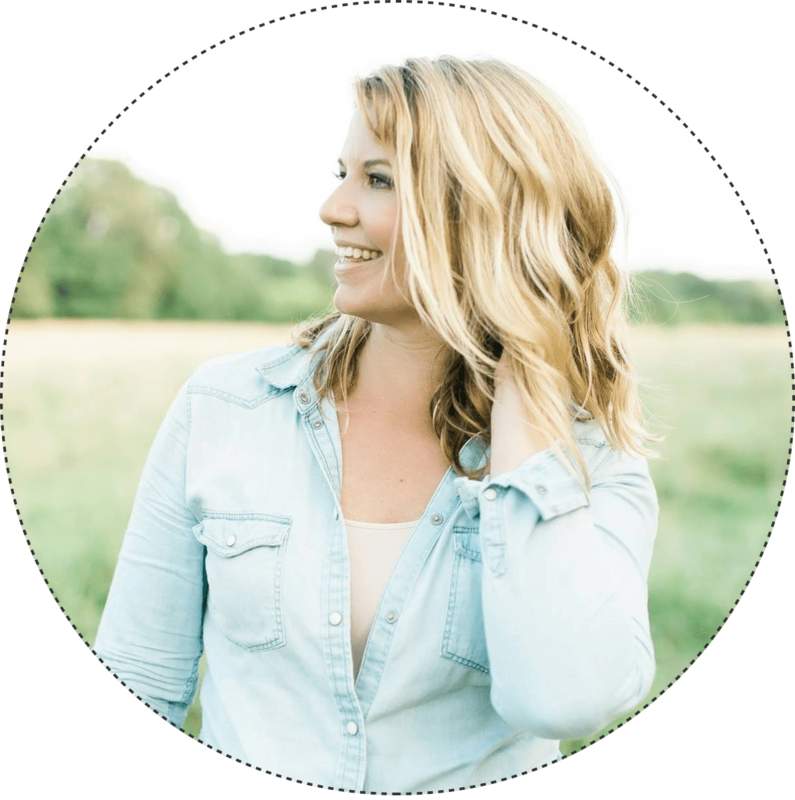 Time is the most precious resource we farmers have; let Farmers Edge help you use it wisely. Sign up today to get insights into your operation to find those hidden “monopolies” on your farm to maximize your ROI. After all, the operations that adopt this insight are not only more likely going to survive these lean times, but also likely to begin to flourish a lot sooner when this market does turn around. Meanwhile the ones that don’t will soon be out of the game… forever.